At Superromance, after we are after finished with our line edits, our editors ask us to send them a Dear Reader letter, a short bio and the book’s dedication. When I’m thinking about the book’s dedication, I consider all the people who’ve helped in my life, specifically in the making of the story. I am very grateful for the inspiration and the love they’ve given me. Last Thanksgiving evening while I was writing a synopsis, the beginning of a story-proposal process for the book that would be titled Scotland for Christmas, I was in a hotel room feeling very discouraged with myself. My left arm was broken and in a huge cast that was making it impossible for me to type on my computer. I had to write longhand and then type the words into the electronic document by pecking with one finger. I was also feeling discouraged that the story might not be good enough and might not be accepted. I was letting fearful thoughts spiral me into a sad, dark place. Winter was coming, and I was just struggling to keep pressing on day by day. And then, my mom came into the hotel room and sat down on the bed beside me. She had sad news, she said. She’d been on the phone with my aunt, and she was sorry to tell me that my nana had passed away moments before. After my mom left, I kept my computer on my lap, closed my eyes, and thought of my nana. I couldn’t feel sad, because when I thought of her, I just didn’t feel that she’d left me. When I thought of her, her spirit was with me, and her spirit was laughing, as she always did. My nana was a huge part of my life, especially during my childhood and adolescence. 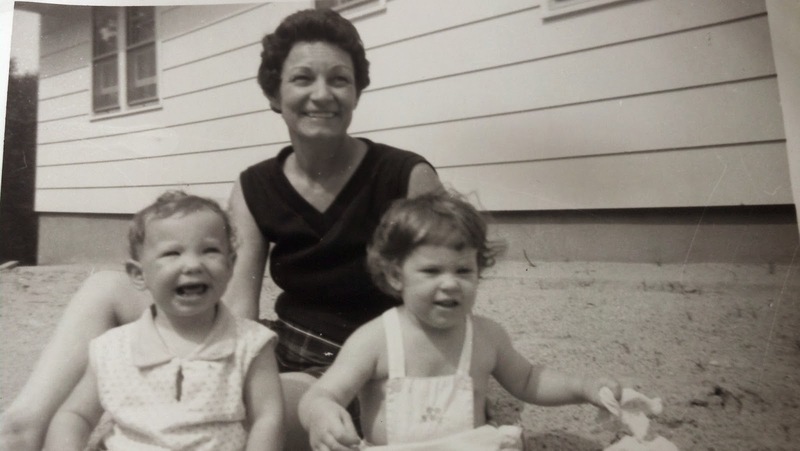 My writer friends have heard many of my “nana stories,” and they would tell you, with humor, that my nana was strong, funny, independent, fierce, and special. She was just thirty-four years old when her beloved husband died unexpectedly in a heart attack on a moving job, leaving her with three children aged twelve, nine and six. This happened in an era where there wasn’t the economic safety net that we have in the United States today, and so Nana worked hard to keep her family together using her own resources. She had no special education or skills, just her strength of character, her faith and her love of family. That night in the hotel room, I just closed my eyes and quietly let my nana talk to me. She made me laugh, she made me cry, she lightened my load. A short while later, my six-year-old niece came in and snuggled in bed with me, as did my husband. My brothers and their families popped in and out of the room. That synopsis didn’t get finished until weeks later, but it worked out anyway, and I did get the contract in the end, and my editor helped shape the story into a beautiful book. I’m a very blessed woman. There was no question about who I was to dedicate this book to. About the time I passed along the Dear Reader, bio and dedication notes for Scotland for Christmas—the story I privately thought of as “Nana’s book,”—I thanked her by doing something that my mom’s eulogy for her had inspired in me. I planted in her honor a tomato plant on my condo porch. Now, I usually have a brown thumb when it comes to growing vegetables—my husband laughed when he saw the little seedling and didn’t think it would do much—but that sprout grew like Jack and the Beanstalk and provided an abundant source of cherry tomatoes well into our New England autumn. It completely astounded me, but maybe it shouldn’t have. My nana was a force of nature all her own. So now I’ll close my blog post and invite comments. Is there someone special in your life who inspires you when you have your down times? I’d like to give away an advance copy of Scotland for Christmas. From the comments to this post by the close of Saturday at noon EST, I’ll choose a winner by draw of the hat. Cathryn Parry writes Harlequin Superromances from her home in New England. She has a booksigning scheduled for December 13th, 2014 at the Barnes and Noble in Leominster, Massachusetts from 12-4 PM. Please stop by and say 'hello' if you're in the neighborhood. 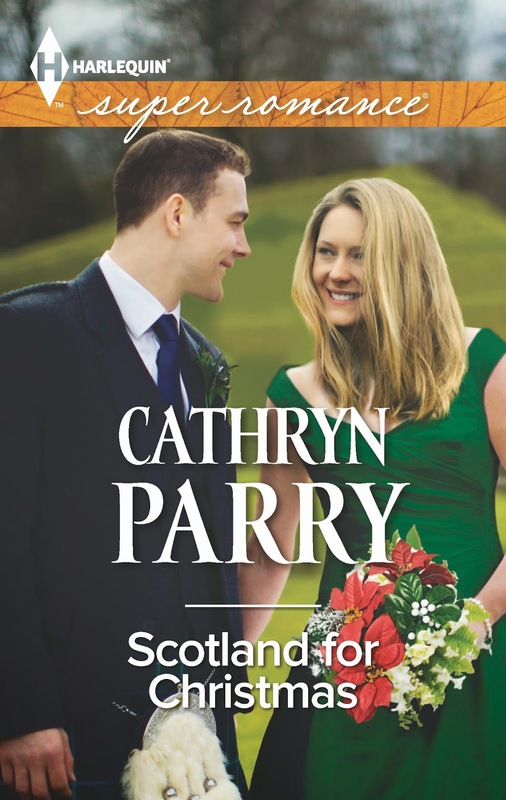 For more information, please see her website at www.CathrynParry.com. My sweet husband who has given me the gift of getting to write almost every day. Whenever I fall behind I remember who he is and how much he believes in me. Your story about your Nana is so very sweet. I can hardly wait to read your new book Cathryn. I love Scotland and I adore you! Sending you many best wishes on your new release! This is such a beautiful tribute. My husband has always been my biggest supporter and cheerleader! Thank you for sharing, that was just lovely. I have to say my children. My daughter is the BUCK UP kind of person & my son the sensitive soul. Between the two of them I'm not allowed to be down for long. My Grandmother was a big influence in my life as well. I lived with her in the summers on a ranch in Colorado. She only had an 8th grade education but she was the wisest person I know. I miss her a lot in my life. MY grandmother was my rock... such a tiny little woman that had a huge heart... she was always there with a hug or shared something that made me smile... I have missed her since she has been gone, but she left me with some truly wonderful memories. Thank you all for commenting! I enjoyed reading about your influences. I drew a name from a hat...the ARC for "Scotland for Christmas" goes to Joye. Congratulations! If you send me your address using my comment form, I'll mail the book right out to you. Take care, everyone!